Returning to the notion of successful historical fiction, today we have Margaret McGoverne adding her perspective from both a reader’s and a writer’s point of view. Margaret has recently completed a historical fiction novel set in 1st century AD and concerned with the (imagined) end of Queen Boudicca’s revolt against the Romans. Margaret is fascinated with the rich historical tapestry of Great Britain and enjoys weaving historical facts and fiction with speculative Sci-Fi in her writing. Q – What’s your definition of successful historical fiction? A – This is such a deceptively simple question! The obvious and simplistic answer would be that historical fiction is fiction that’s set in a historical time frame. But this definition asks more question than it answers. I quickly learned that there’s no agreed definition of what constitutes “historical” in this context. For instance, one of my works in progress is a novel set in 1970’s Northern Ireland, during the “Troubles”, so the setting is forty or so years ago. My research to determine if this would be classified as historical fiction was inconclusive. The question actually breaks down into two parts; how long ago was the setting, and is the book written from an historical perspective for the characters (and for the author)? Applying this definition, my novel wasn’t set far enough in the past, as I was alive at the time (albeit a child). But this isn’t a universally applied definition, and some definitions categorise fiction set more than twenty years in the past as historical. In addition, context is all; to my son, the Troubles are a distant, historical period of Irish/British history; I experienced them as a child, my parents as young adults and my grandparents remember life in Northern Ireland prior to The Troubles; would we all consider a story in that setting as historical? Using the subjective rule, all novels are historical, starting with those written today! I would dispute the above definition, as although some aspects of this novel are autobiographical, and they happened less than fifty years ago, the events and time period are of key political and historical importance in the recent history of Britain. In addition I’ve had to undertake considerable research on the events and timelines of the period that I wasn’t aware of as a (young) bystander. Another way we could approach the definition is to ask if the events in the novel are historical for the characters, or contemporary. 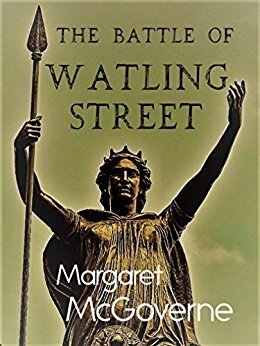 I have recently published a historical/Science fiction novel, The Battle of Watling Street that reimagines the end of the Celtic Queen Boudicca, following her defeat to the Romans at the Battle of Watling Street. This battle took place in England in AD61, so nearly two thousand years ago. Clearly the setting meets the criteria for historical fiction for most observers, but most of the vents in the novel are contemporary or recent history for the characters; there’s some reference to Britain prior to the Roman occupation, but the bulk of the action is set in AD61. So is this historical fiction? You start to appreciate how slippery it is to pin down a universally acceptable definition of historical fiction! A – If a novel can be defined as a fictional narrative which describes some aspect of the human experience, then historical fiction has the added challenge of bringing to life aspects of humanity from a different time period, or in other words, to bring to life past events, characters and ways of life. Often as a reader I relish the descriptions of life in another time period, as much as the events and characters inhabited by the world I’m reading about. I want to be fully immersed in the time period, with no jarring hints of modernity or historic anachronisms; I don’t want to read something that’s the written equivalent of the gas tank on the back of the chariot in the film “Gladiator”, which otherwise evoked the Roman world so splendidly! Of course, different authors will have different perspectives on characters in their novels; if these are well-known historical figures, the reader is often presented with very different interpretations of the character’s actions and motivations; for example the emperor Tiberius is presented as a complex, almost sympathetic figure in Allan Massie’s eponymous novel, and the reader can appreciate the pressures bought to bear on the historical figure of Tiberius. This treatment contrasts with Robert Graves’ more damning assessment in I, Claudius. Both are fine, offering as they do additional dimensions and justifications of historical figures, as long as the known facts tally. Q – Which authors do you think create the most successful historical fiction, and what makes these particular authors stand out? A – Since a school trip to Colchester I have been fascinated with the Romans; unsurprisingly my favourite historical novelists include the above mentioned Robert Graves; I also enjoy the Roman historical fiction of Robert Harris; his Cicero trilogy brings to life famed orator and consul Marcus Tullius Cicero, and offers a grandstand view of the doomed Roman republic, and the rise of the dictators Julius Caesar and Octavian (Augustus). Allan Massie’s Roman emperor (and nearly emperor) novels offer us a glimpse of the all-too-frail humans behind the marble statues and history books that represent what we know about these historical movers and shakers. Another author who I think isn’t always recognised as a great historical fiction author is Charles Dickens; A Tale of Two Cities set partly in the revolutionary Paris of the late 1770’s and Barnaby Rudge which tells of the London George Gordon riots of 1780 both evoke the period brilliantly, so much so that when I think of these historical events I still imagine the bloodthirsty Tricoteuse, Madame Defarge, who knits her liberty caps as noble heads fall to the guillotine, or the horrific King Mob described so vividly by Dickens. Q – Are famous people essential to successful historical fiction? A – To answer this we need to explore the difference between historic and historical fiction; if we suggest a definition of Historic as referring to an event or person that was historically important, as opposed to Historical, meaning something that took place in the past, irrespective of whether it was significant, then strictly speaking, historical fiction doesn’t need to feature famous people (or events) to be judged successful, and fiction that DID feature significant figures should be termed “historic fiction”. But again I’d suggest these are not hard and fast rules; for me, historical events are only interesting in the context of the conflicts, developments and characters of that time period. A novel that described the way of life in 1st century AD Britain might interest me, but if it features historic figures such as Queen Boudicca and the emperor Nero, I can then place in context the events and their importance in the subsequent history of Britain. History is concerned primarily with conflicts, winners and losers, and what historical fiction adds to a dry retelling of history is where it imbues the events of the past with characters that reach back in time to make it happen again for me, the reader. Q – Does successful historical fiction have to say something relevant to today’s conditions? A – I think that all quality fiction has to have something to say about the human condition, and we as readers will always relate that to the world of today; historical fiction is no different and I believe that the genre offers a unique opportunity to its readers to present the events of the past for consideration; if we don’t learn from the mistakes of the past we are doomed to repeat them, and I think this is a powerful tool in the arsenal of historical fiction authors, to comment on contemporary issues. A very topical issue might be the rise of nationalism in Western Europe, which for many has worrying parallels with international events leading up to World War II. The themes and tropes that interest, inspire or worry us are timeless; although historical fiction may offer them for our consideration from a less enlightened time period, the challenges for humanity remain fairly constant. Q – What role does research play in successful historical fiction? A – Research is absolutely key to ensure your story has an intellectual and emotional sense of its time and place, that there are no jarring anachronisms in plot or language, but also that your story doesn’t wear its research too heavily. “Research” can be a daunting word for the would-be writer of historical fiction, and at times it can be a slog; I’ve had seven or eight internet tabs and a pile of physical books open to fact check one minor detail, but research isn’t just reading up on a subject. For my novel The Battle of Watling Street, I visited the Verulamium Museum in Saint Albans, the Museum of London, and the Chiltern Open Air Museum in Buckinghamshire; all three were invaluable in helping me not just with historical facts, but with the costumes, buildings and décor, sights, sounds and tastes of 1st century AD Roman Britain. I undertook some research on Celtic names for those characters in my story whose names weren’t passed down to history, such as the daughters of Boudicca, and discovered a database of Celtic name elements maintained by The University of Cambridge. It was important to me that every character, from Boudicca’s (fictional) chief advisor, to the protagonist’s mule, had name that was historically accurate! In addition, there is a wealth of near-contemporary, public domain material for the period I was writing about in the annals of Tacitus, and of course my love of Roman historical fiction as written by such stars of the genre as Robert Graves and Robert Harris were an enormous inspiration, and helped me prepare and perfect my writing voice for the novel. My aim was to accurately capture the events and flavour of the period I was writing in, but also to give an authentic voice to my non-famous (fictional) characters, as they represented ordinary people caught up in very momentous times and events. One other thing I did was to get out and about; I walked the routes and regions I was writing about, and tried to imbue my writing with these real places, the only concrete things left to me here in the 21st century that I could lay my hands and feet on, and reconnect with that distant past. Q – Do you judge historical fiction differently from contemporary fiction? A – Ultimately, historical fiction faces the same challenges as contemporary fiction; to entertain, inform, engage the reader, and to say something about an aspect of the human condition, all within the structure of a narrative that holds our attention and provides a satisfactory reading experience. Historical fiction must meet additional criteria as noted above; the research must be meticulous, and the writing must take us to that time, but these are merely temporal differences. My favourite authors display the same skills; they bring a story alive for me, using place, events and mostly, characters that I may adore or despise, but that I can understand, and believe in. 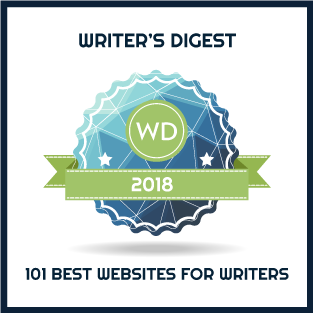 Successful fiction gets under the skin of its readers and lodges there, hopefully to bloom in an increased awareness of our world; the successful historical fiction author offers a glimpse into the past, and has something to say about the ever-present. Many thanks, Margaret, for adding to the discussion. You’ve given us lots to think about particularly the challenge as to what constitutes historical fiction! The Battle of Watling Street: A historical science fiction mystery set in 1st century AD Roman-occupied Britain. Margaret McGoverne blogs about writing at www.margaretmcgoverne.com. You can connect with her on Facebook or Twitter.